Scuba Diving is an amazing, explorative experience both for veterans of the hobby and newcomers. It allows us to see a side to the world that we don’t usually get to see, whilst using the latest in underwater breathing technology. Thousands of people around the world scuba dive, some for their job, and some just for fun! It not only is a fantastic experience, but it also helps our scientists stay updated about life underwater, as well as harnessing and advancing the latest diving technology. It’s a fantastic thing to do, but before we go on to how to get scuba certified, let’s go over the basics. Scuba Diving is a form of underwater diving. It is characterised by the implementation of breathing apparatus. This usually comes in the form of compressed air that is put in a tank and strapped to the divers back. The air passes through a regulator, which turns it from compressed air in to ambient air, and the diver breathes it in. This enables the diver to have a continuous bank of oxygen to draw breath from for extended amounts of time. This means that they can dive for long periods of time. Which enables them to see the beauty of underwater life, up very close! It is also used for scientific purposes as well, to discover new sea life and also excavate underwater caves and sunken vessels. You can do it quite easily if you’ve never done it before, all you need is some training first. 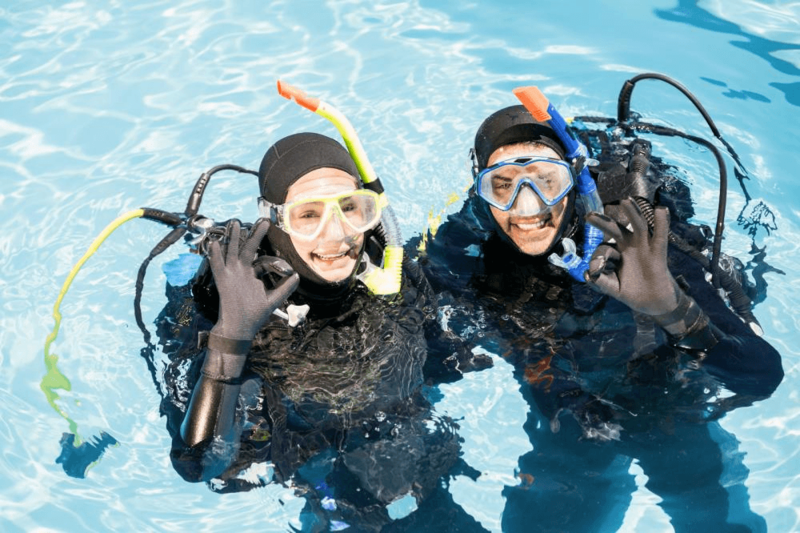 But you can also become a certified scuba diver, meaning that you are highly qualified and understand all of the technicalities and intricacies of it as well. A lot of scuba divers that have been diving for a long time will look to get certified as a scuba diving. This basically means they will go through a test to challenge their scuba diving skills to make sure they are talented enough to be awarded the certificate. What can you do if you’re a certified scuba diver? It really depends by what means you get certified, most certificates will enable you to deeper, more advanced dives. You will also be able to dive freely, without the need for a trainer or instructor. It will also give you a window into a new career. You will be able to pick up a job as a marine biologist or scientist a lot easier if you have a certificate to prove you’re a talented scuba diver. What do I need to remember about getting certified? Train in special junior scuba diving programmes, but only those over the age of 12 can qualify. Find a suitable school/training places – The best place to look for somewhere to train to be a scuba diver is by places near the sea. Find a school or training location that specialise in training you to become a certified scuba diver. Find out costs – You don’t want to get yourself all excited to start training, only to find that it’s way out of your price range. Remember, you will have to pay for both training and equipment. So it is not something you can dedicate your time to without putting some money in too! Find out times and details – How much time will it take for you to be able to take the test? What do you need to bring? Can you manage to do your other clubs and hobbies alongside it? If you can’t do these, then you can’t really commit. Find out if you like it – Probably the most obvious one. Simply find out if diving is for you! It’s no good seeing someone do it on the TV and wanting to copy them. You have to affirm to yourself that it’s something that you want to do. Go diving at your local swimming pool, get a feel for that. Then if you really enjoy it, you’ll be able to commit. Learn to swim – If you don’t already have a swimming certificate, now is the time to get one! It will definitely help out with your scuba aspirations and will give you a feel for the water too! Learn the theory – You may not know it, but there’s a whole lot of theory that goes along with learning to become a successful diver. Everything from correct diving methods, to the science behind the respiratory gear. You need to know it all before you head underwater! Pick up a book from your local library, or even do some research online to get your theoretical knowledge up. PRACTICE – One of the most important points about learning scuba diving, it’s going to take a whole lot of practice. You can’t just become a good diver overnight. It takes a lot of time to learn how to deal with every obstacle and situation that a diver may come across. The best way to overcome this lack of knowledge and experience is to practice at every opportunity you get. That way you’ll know what you’re doing. 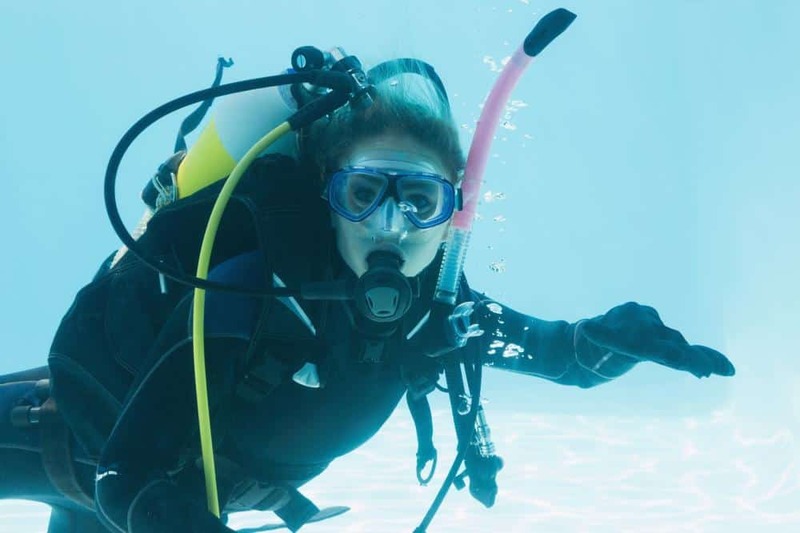 Get to know where to look – The place that you’re practicing diving in may not be able to issue you with the scuba diving test. Make sure that you know where to go in order to get that qualification. Being that it’s quite a prestigious thing, it’s not going to be given out everywhere. You may have to travel to a location, so bare that in mind. Are there dangers to scuba diving? Remember to communicate with your partners, and alert your friends if you are in any sort of trouble. Stay focused, remember that anything can happen underwater, and an emergency situation can occur at any point. Keep your eyes open and always react quickly. Always have an escape route, you never know what’s going to happen so always be aware of how you are going to get out of any situation. All that’s left to say now, is have the best time! Have fun trying to get certified and remember to be safe as well. And remember, just because you don’t get fully certified, doesn’t mean you can’t enjoy scuba diving as a bit of fun. Get out there and explore the underwater world, certificate or no certificate.